Pick some scraps. I usually use 3 or 4 color groups. 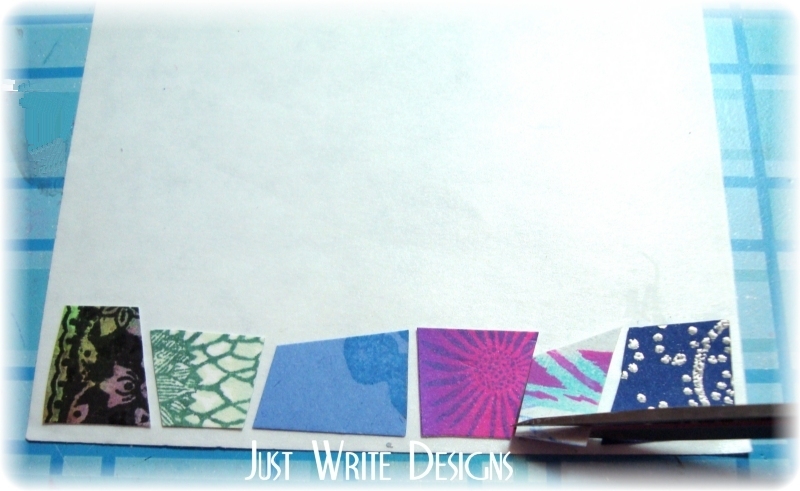 Here, I selected some blues, turquoise, and an orchid color for contrast. 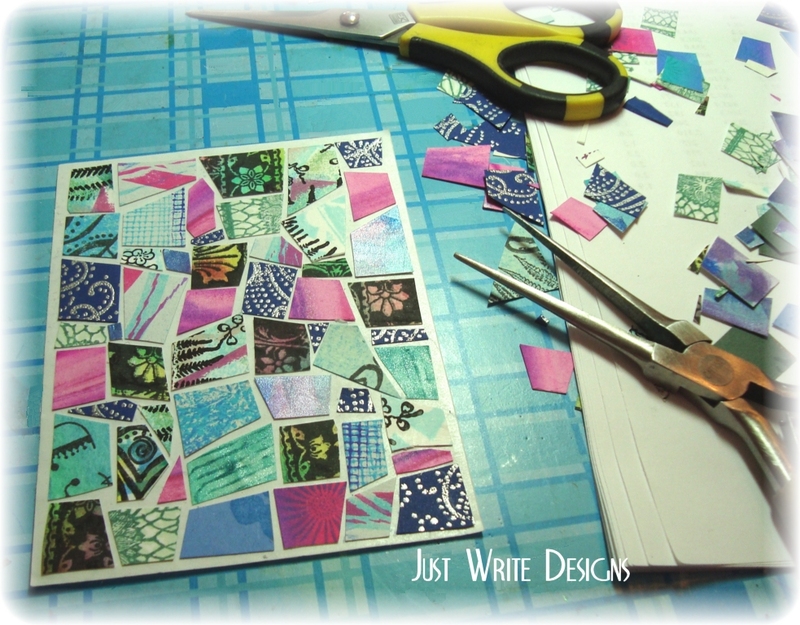 Scraps that are stamped and/or embossed will work well, too. 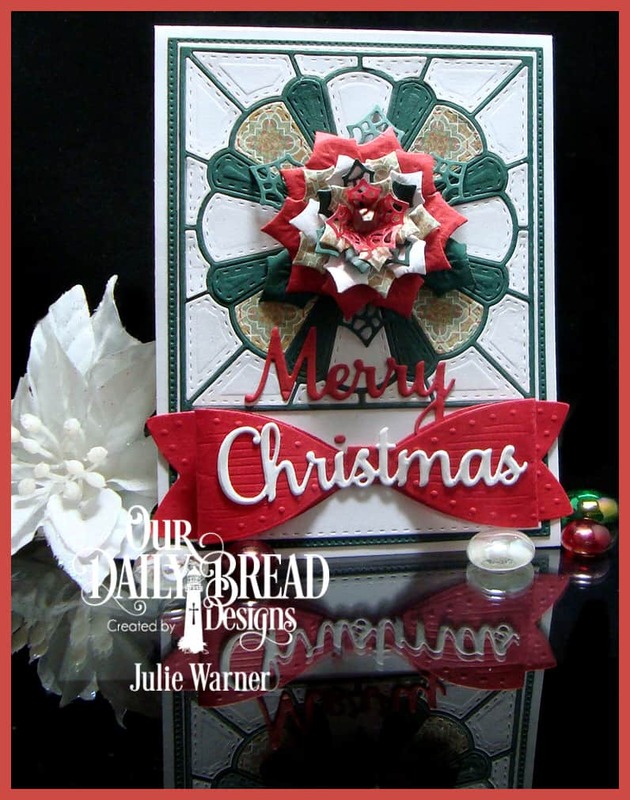 With scissors, cut some of each color you plan to use. Vary the sizes and angles slightly. I try to leave 2 sides fairly square so they fit around the edges. Cut your sticker paper to the size you want. For my example, my sticker sheet measures 3.25″ x 4.25″. I precut to this size because I want to leave a border around the edge of my sticker paper. I put a little removable adhesive on the back side of my sticker paper to hold it still while I am working with it. Peel the release sheet off the sticky side of your sticker paper. 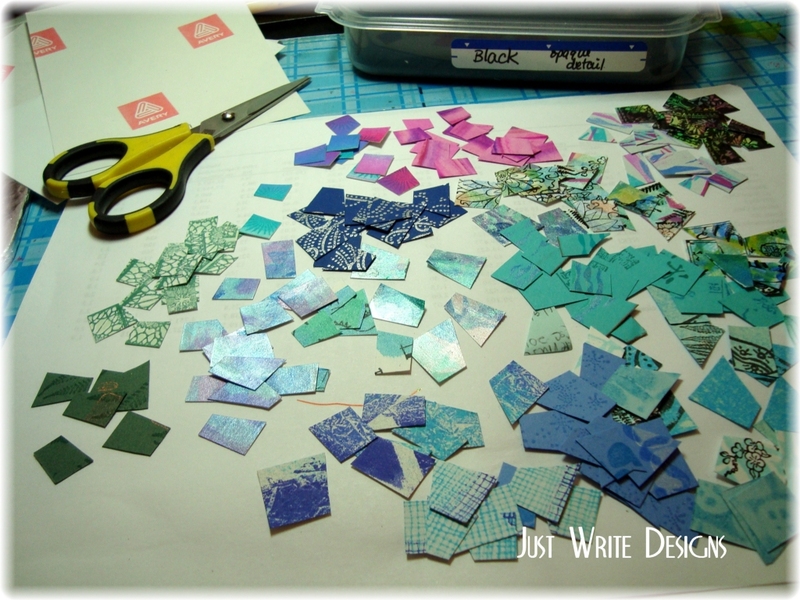 Start placing your cut mosaic pieces. I start in one corner and work across. Vary the pieces and colors. Finish arranging your pieces. 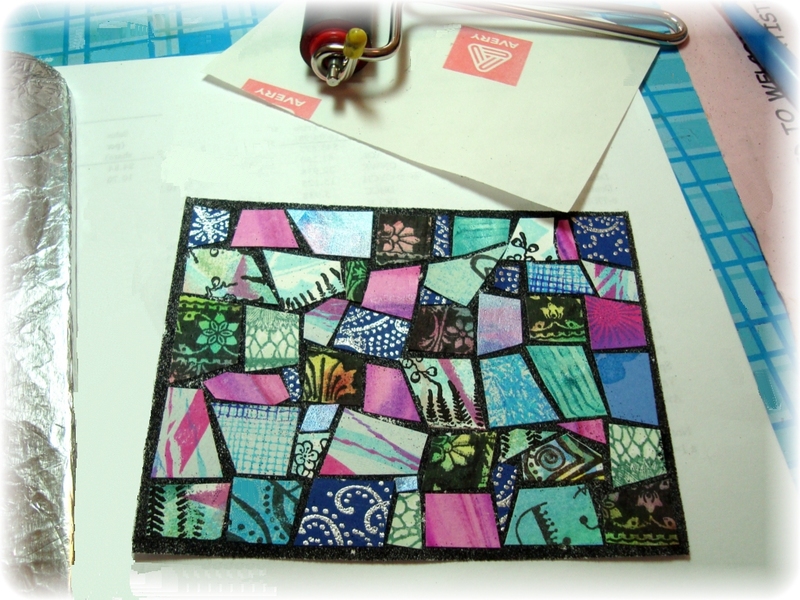 I find it easier to place my pieces on the sticker paper if I use a pair of needle nose pliers. Note the border around my pieces. You do not have to have this border. 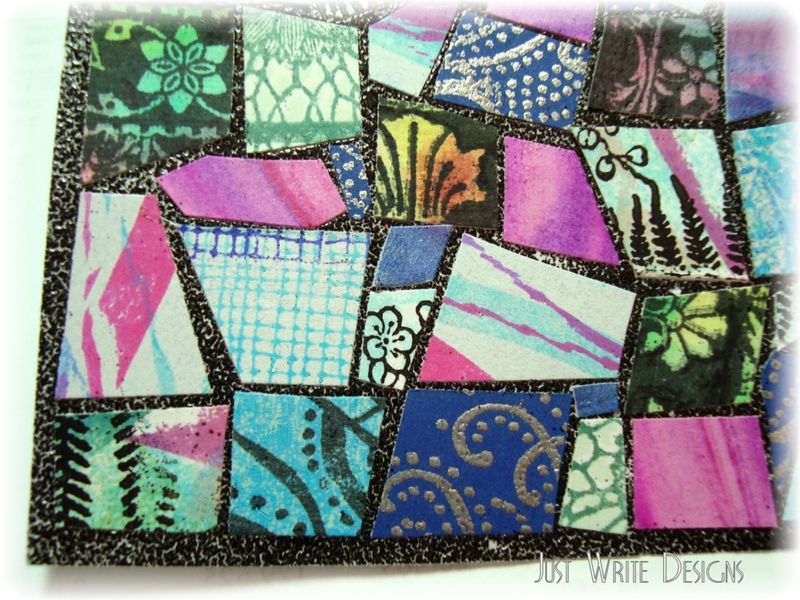 Place the release paper over your mosaic. 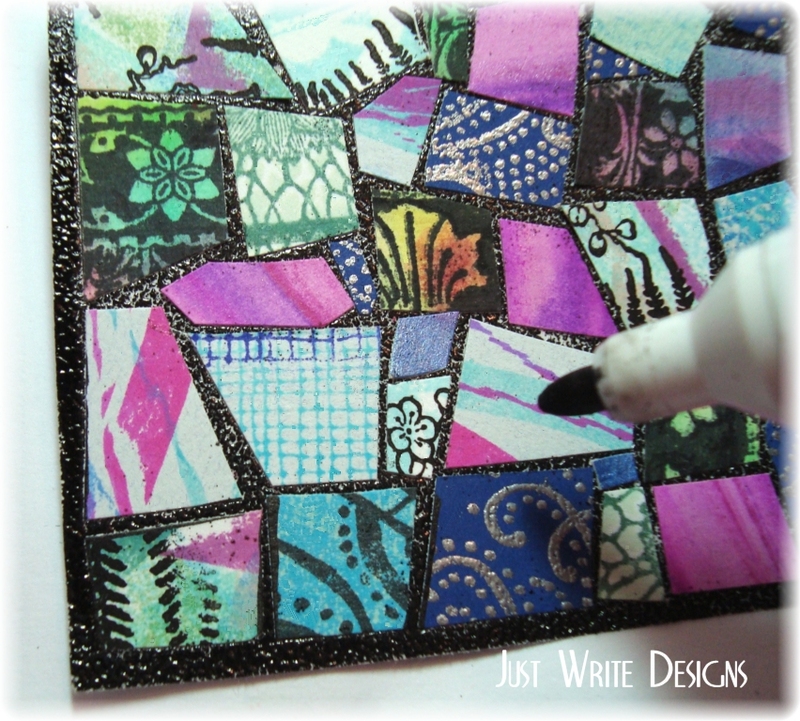 Using the brayer, roll over the release paper covered mosaic. 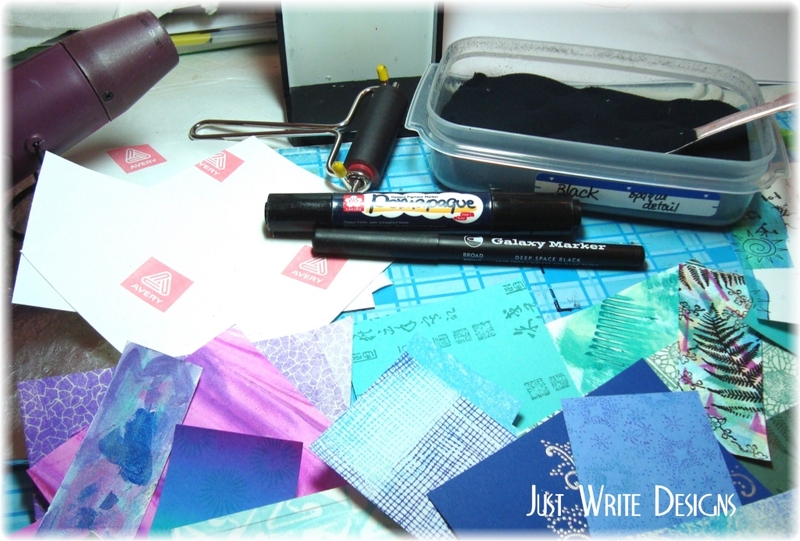 This will help to secure the pieces to your sticker paper. 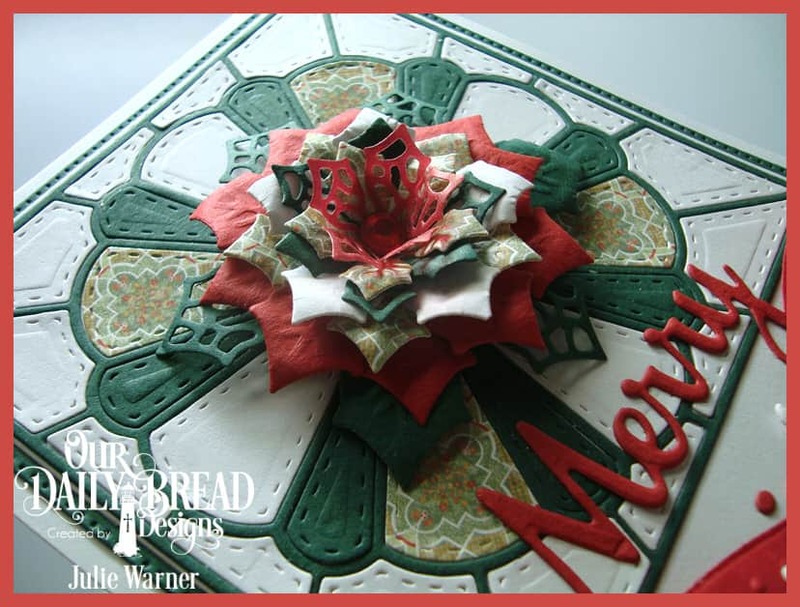 Coat your piece with the embossing powder. For my example, I am using detail black powder. Gently tap off excess. 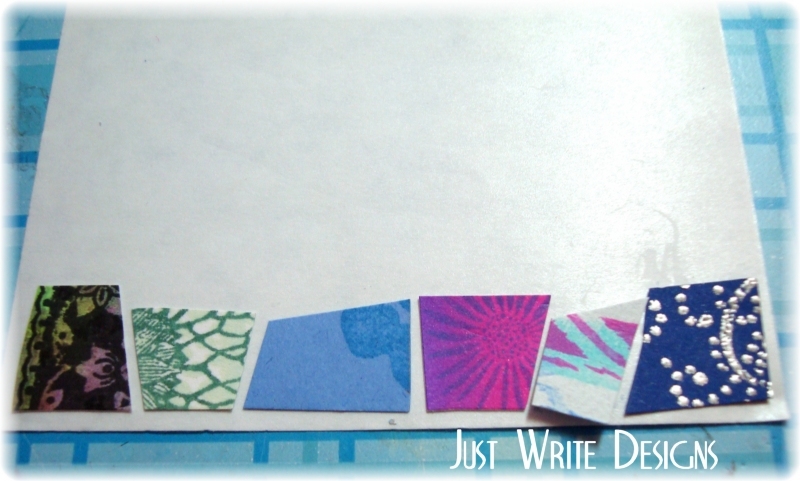 Place the release paper over the piece again and repeat the pressing with your brayer. 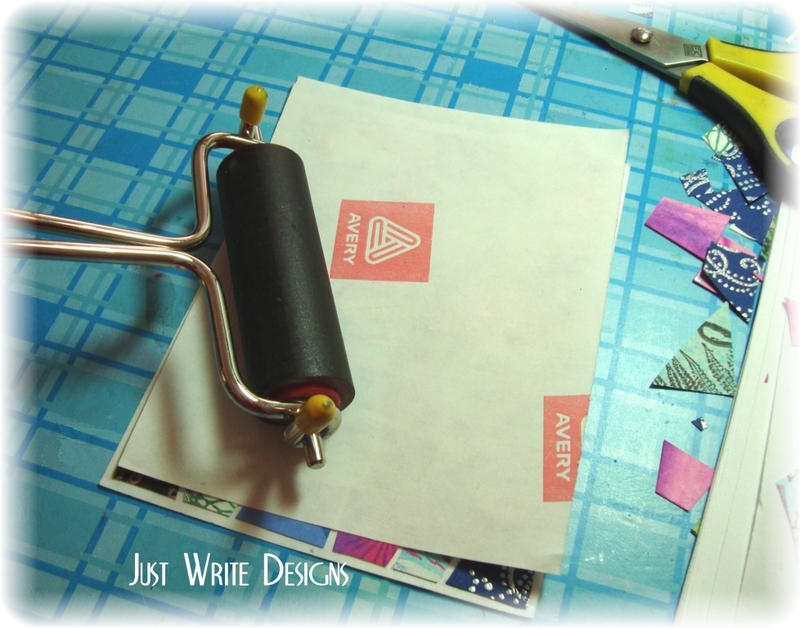 This will help the embossing powder to cover the exposed areas of the sticker paper (“grout lines”). 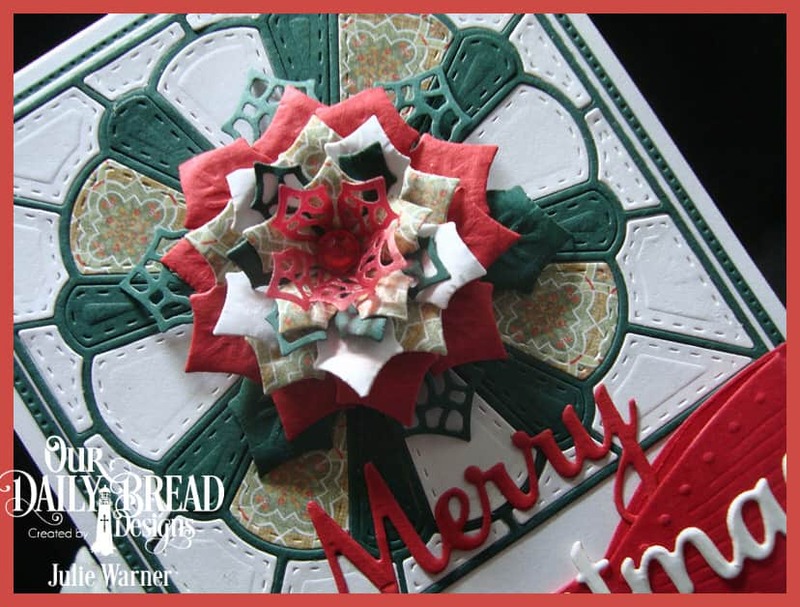 Melt the embossing powder with your heat gun. 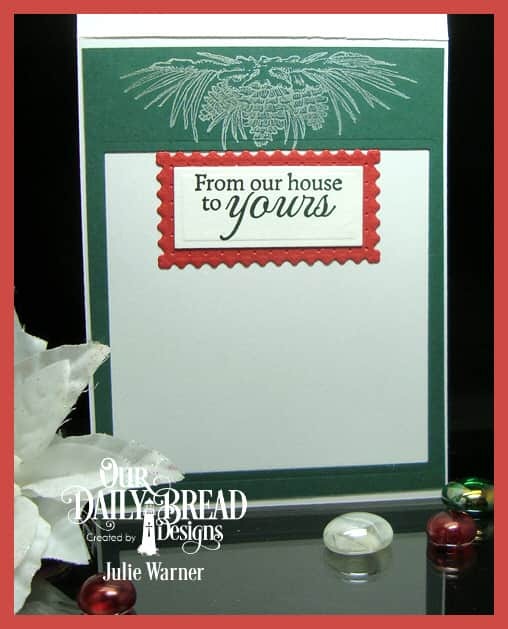 Note that when using black embossing powder, tiny areas of the white may show through. 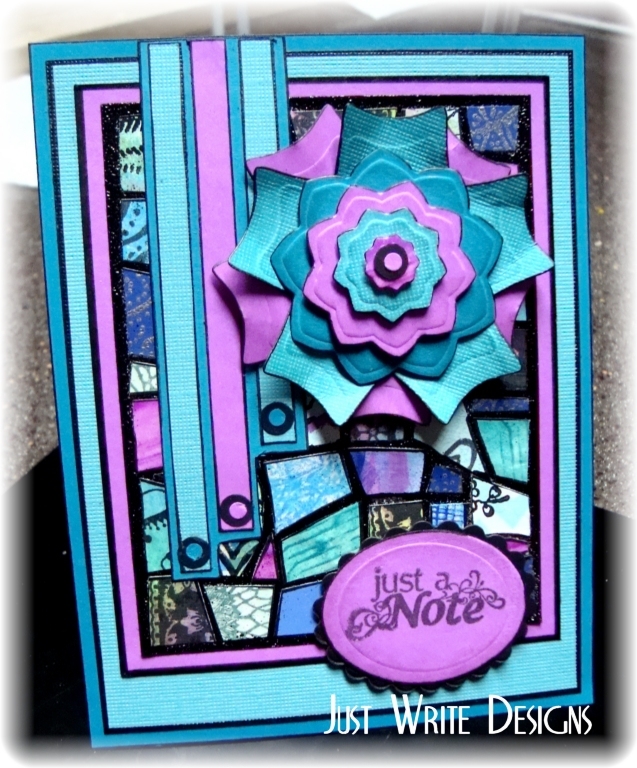 This is not noticeable with other colors of embossing powder. If you look closely, you can see this, especially around the outer border. Since I am using the black powder, I go over the “grout lines” with a permanent black marker. After testing a number of these, I found that the Galaxy or the Permopaque work the best and do not dull the shine of the embossing powder. 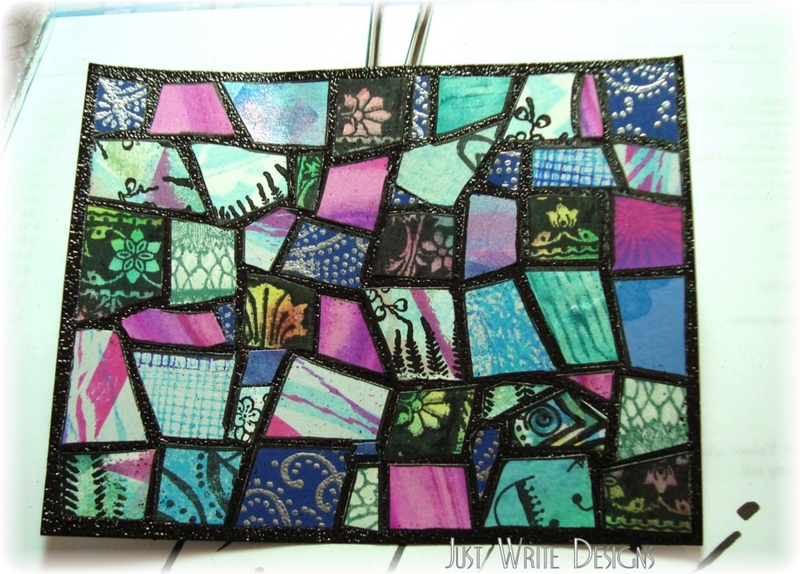 Finished card using the mosaic example.